These are the crafts that can be used with the Group’s Shipwrecked V.B.S. program. This entry was posted in 2018, Bible Crafts, V.B.S. 2018 and tagged betrayed, bible crafts, crafts, cross, Crucifixion, death, Group, Jesus, kidmin, lost sheep, Martha, Mary, miracle, parables, Peter John, Shipwrecked, Vacation Bible School, Vacation Bible School crafts, VBS, VBS 2018, word fo God. LifeWay’s 2018 VBS invites your kids to grab their megaphones, lace up their cleats, and tune up their instruments. As they fill up the offensive line, sideline, and drumline, your players, cheerleaders, and band members will realize God has given them His ultimate playbook. He wants them to join His team, train hard, celebrate salvation, and encourage one another. Get in the spirit today with Game On! VBS. Spark Imagination With Faith-Building Fun! Venture onto an uncharted island where kids survive and thrive. Anchor kids in the truth that Jesus carries them through life’s storms. This week I will post the crafts that are already on my site that can be used for these two VBS programs and in March I will start adding new ones to the list. This entry was posted in 2018, Bible Crafts, Updates, V.B.S. 2018 and tagged 2018, bible crafts, coloring pages, craft ideas, Game On, Group, Lifeway, Shipwrecked, update, Vacation Bible School, VBS, VBS 2018. Here is the official Vacation Bible School 2018 poll. Make sure to vote for your favorite or I won’t plan the crafts for your preferred V.B.S. provider. The poll will be open for a week and then the two top voted winners will be announced. This entry was posted in 2018, Bible Crafts, V.B.S. 2018 and tagged bible crafts, Cokesburry, Concordia, Game On, Group, kidmin, Lifeway, Moose On THe Loose, Polar Blast, Time Lab, Vacation Bible School, Vacation Bible School crafts, VBS, VBS 2018. These are the crafts that can be used with the Group- Maker Fun Factory V.B.S. program. I will be slowly uploading new crafts in the next coming weeks. This entry was posted in 2017, Bible Crafts, V.B.S. 2017 and tagged bible crafts, Group, maker fun factory, Vacation Bible School, Vacation Bible School 2017, VBS, VBS 2017. Lifeway’s VBS 2017 turns your kids into Galactic Starveyors! As kids focus their telescopes on the marvels painted in the sky by the Creator, they will discover the wonder among all wonders- that the God who created everything there is, wants a personal relationship with them! A world where curious kids become hands-on inventors who discover they’re lovingly crafted by God. At Maker Fun Factory, one memorable Bible Point is reinforced throughout each station, each day—making it easy to apply long after VBS is over. Regular Baptist Press’ Over The Moat came in third place. If I have any free time I will work on crafts for this VBS program, but my focus will be on the two winning VBS programs. This week I will post the crafts that are already on my site that can be used for these two VBS programs and in the coming weeks I will start adding new ones to the list. This entry was posted in Bible Crafts, Updates, V.B.S. 2017 and tagged bible crafts, galactic starveyors, Group, Lifeway, maker fun factory, update, Vacation Bible School, Vacation Bible School 2017, VBS, VBS 2017. Here is the official Vacation Bible School 2017 poll. The poll will be open until Sunday and then the two top-voted winners will be announced. This entry was posted in Bible Crafts, V.B.S. 2017 and tagged bible crafts, Concordia, Group, Lifeway, poll, summer, Vacation Bible School, Vacation Bible School 2017, VBS, VBS 2017, VBS poll. In the next couple of months I will be working hard on coming up with the crafts for these three V.B.S. programs. I will post the crafts up in March/April. This entry was posted in Updates and tagged crafts, Everest, Gospel Light, Group, Journey Off The Map, Lifeway, SonSpark Labs, V.B.S, V.B.S. 2015, V.B.S. craft, V.B.S. Vacation Bible School, Vacation Bible School, Vacation Bible School 2015, Vacation Bible School crafts. The winners of the V.B.S. 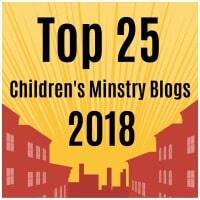 Runner Up poll are Weird Animals– Group and Workshop Of Wonders– Cokesbury. Ill have the crafts for these two V.B.S. programs up in two to three weeks. As for Wilderness Escape– Group, since it came in last, I will not be planning the crafts for this V.B.S. program. However I do have a craft for the crossing of the red sea and will be uploading one soon for the manna from heaven. Next year make sure to get your friends and fellow ministry leaders to vote! This entry was posted in Updates and tagged Cokesburry, Group, update, V.B.S, V.B.S. Vacation Bible School, Vacation Bible School, VBS, Weird Animals, Wilderness Escape, Workshop Of Wonders.